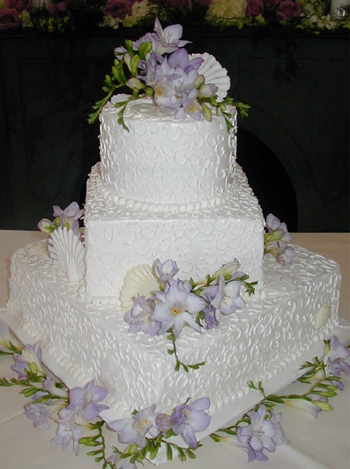 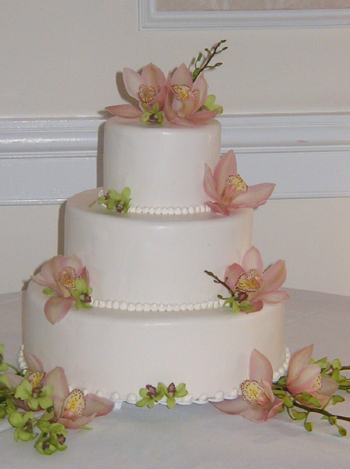 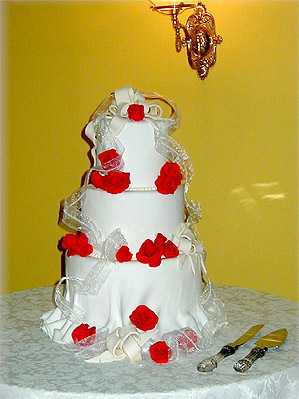 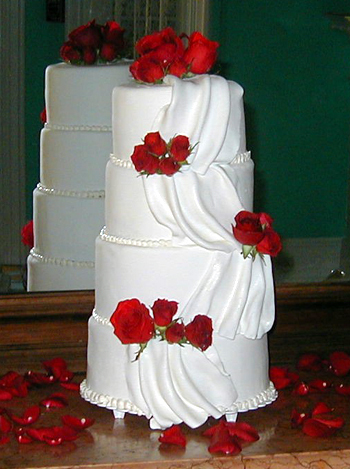 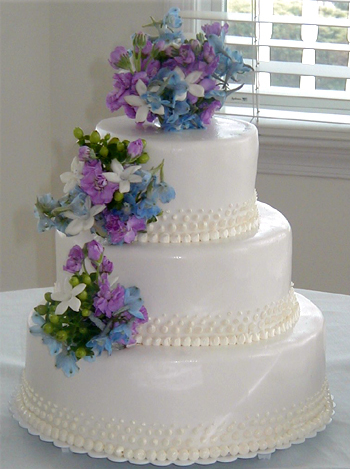 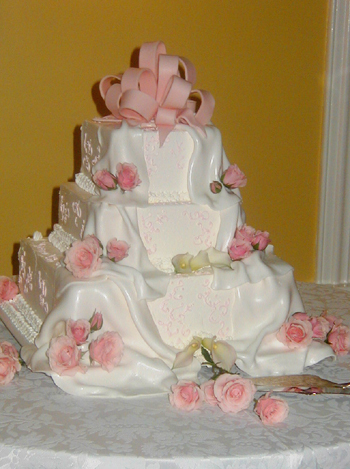 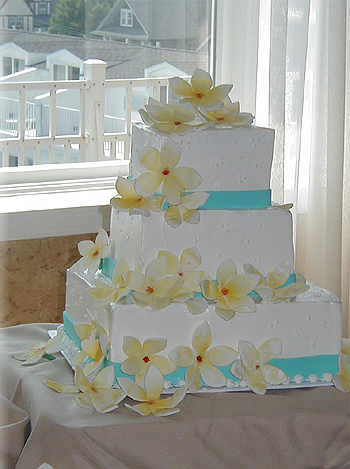 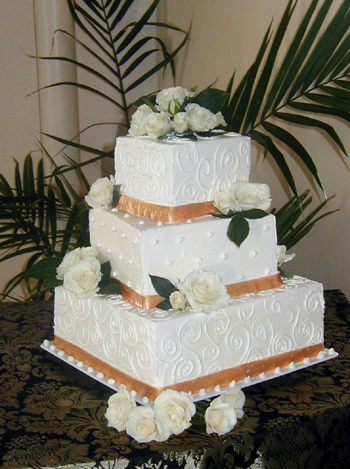 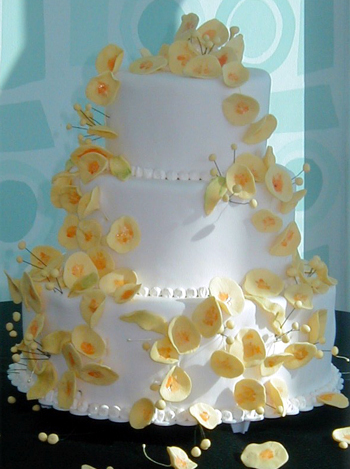 Cake prices range from $6.00 per person and up, with our florist providing real flowers for the cake. 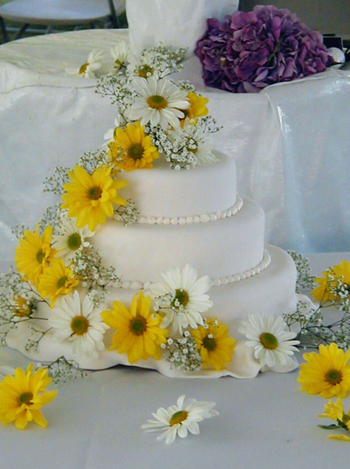 If handmade edible flowers are to be used, the price will increase. 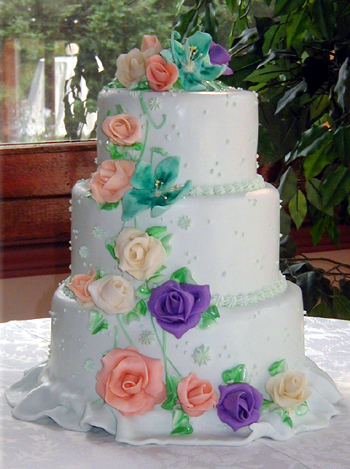 All flavor and fillings are included.